"Enough of the 30th anniversary cars! 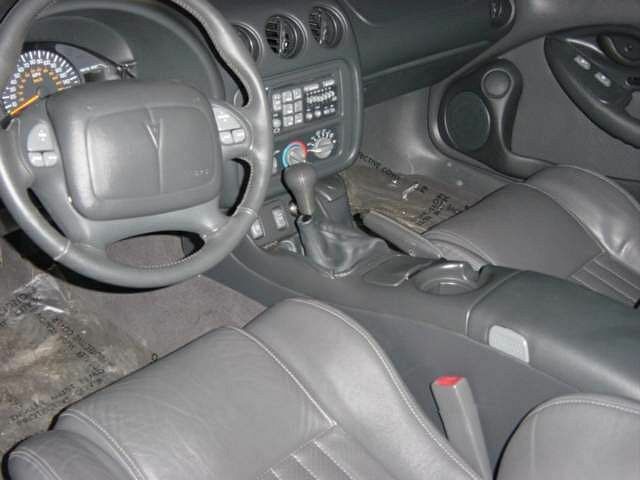 I got the chance to buy my car when someone became tired of waiting and bought a Yukon in April of '99. 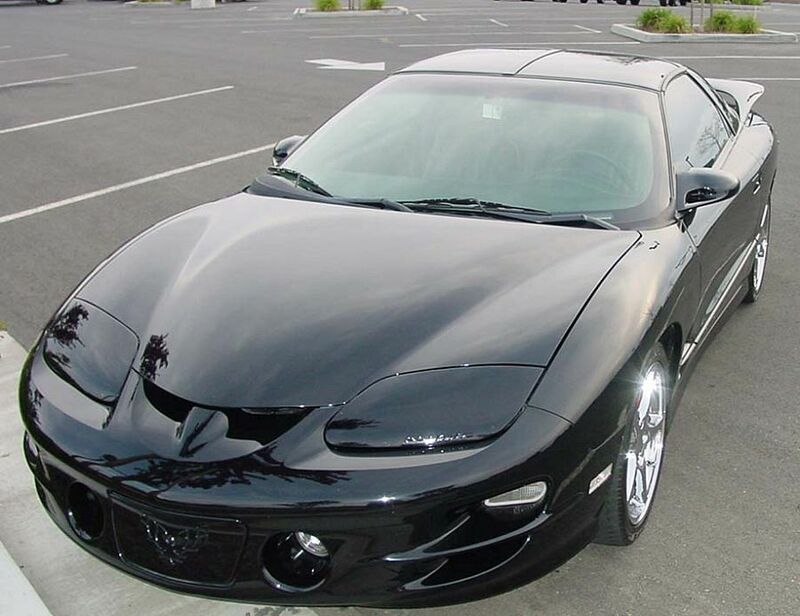 The car came in and the dealership called because I had inquired about the 30th anniversary TA. 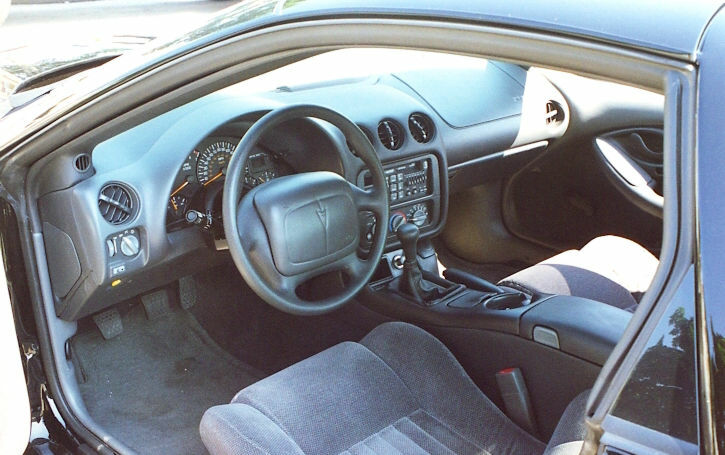 It was red (I had only seen black or white before) , a convertible with a 12 CD option, and 6 speed. Then to top that off - I turned 41! When all of these factors collide plus the rumor the TA may becoming extinct I had to buy. The car is stock and does not see rain. The car gets stronger every time out or maybe I'm getting braver. The TA has 6000 miles after almost 2 years and turns heads everywhere I go. Now after seeing your site I wish I had a red '73 SD too. Thanks, your site is great!" 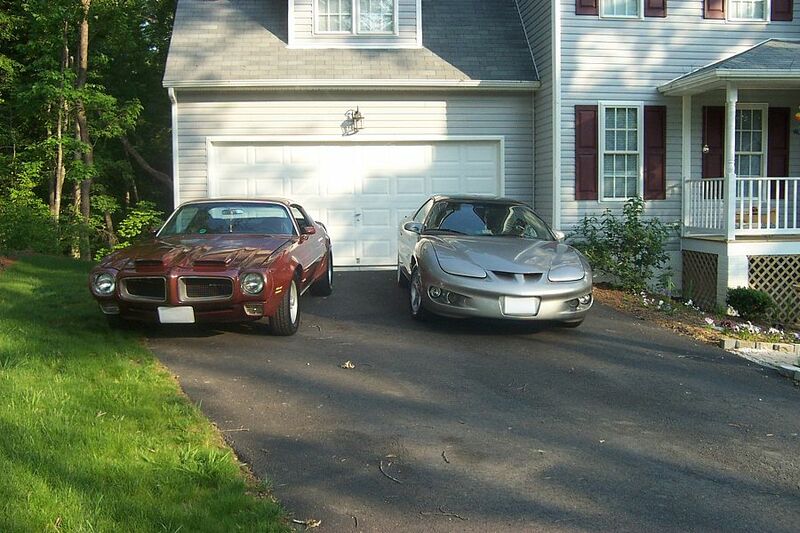 Since I sent in Pics of my 1971 Firebird and they were posted on your web site, I've had a lot of changes with my Firebirds. I was driving the 1971 for about 2 years, and nothing else. 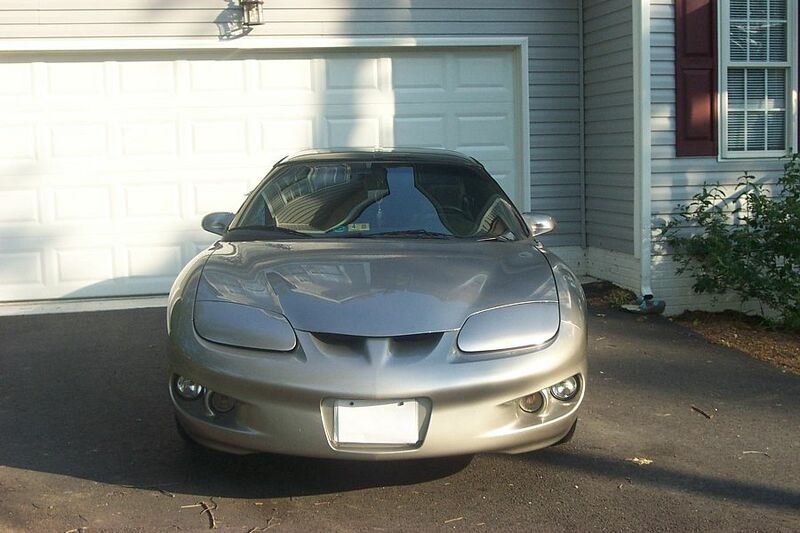 We did move to a new house and My Bird got a garage to live in, but I was putting on lots of miles. So naturally I needed a newer car to drive daily. 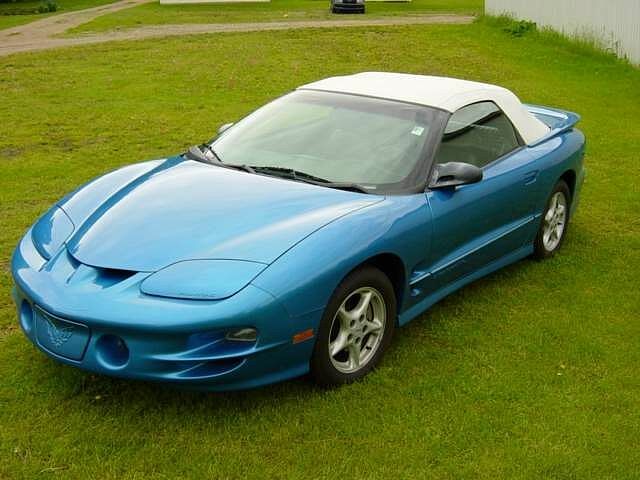 So what else could I purchase but a new Firebird? 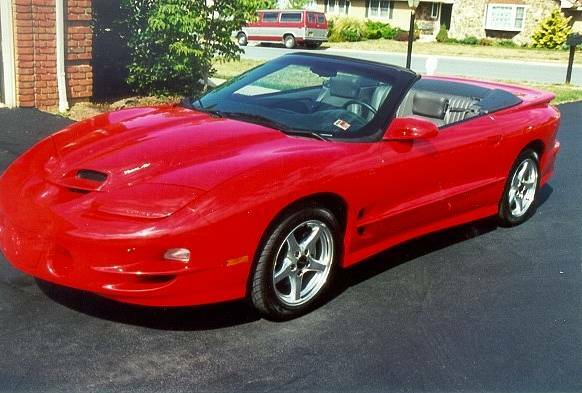 So, I purchased a 1999 Firebird. It isn't exactly what I wanted, I couldn't find what I wanted. 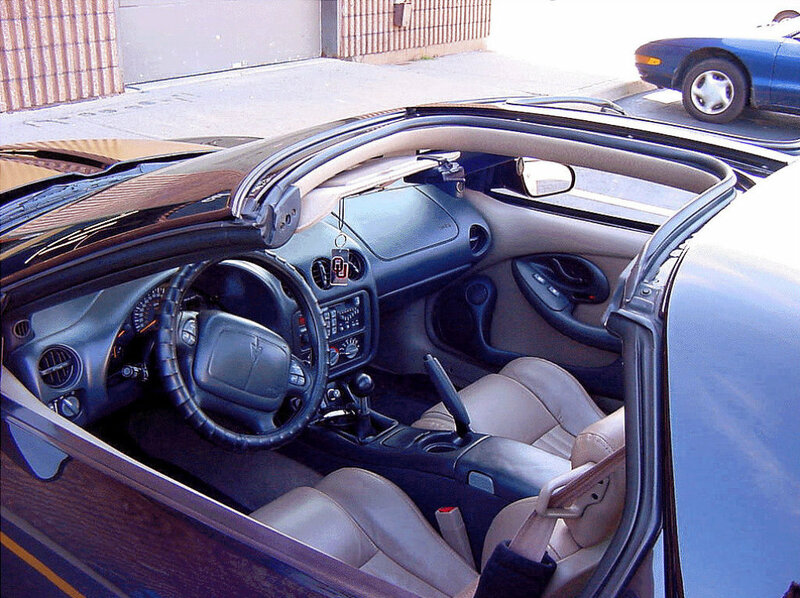 I wanted a 5 speed, Formula, I got an automatic and no Formula, I did get the T-tops. 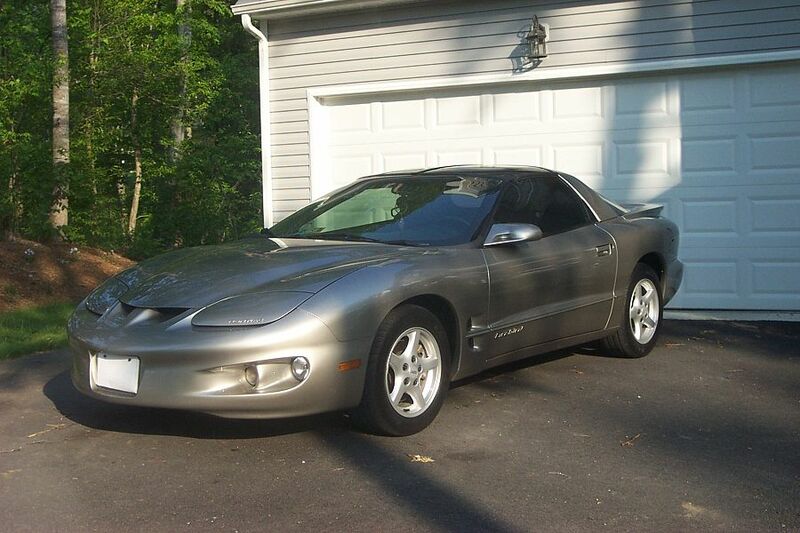 I purchased it used last June and it is a great car to drive every day. 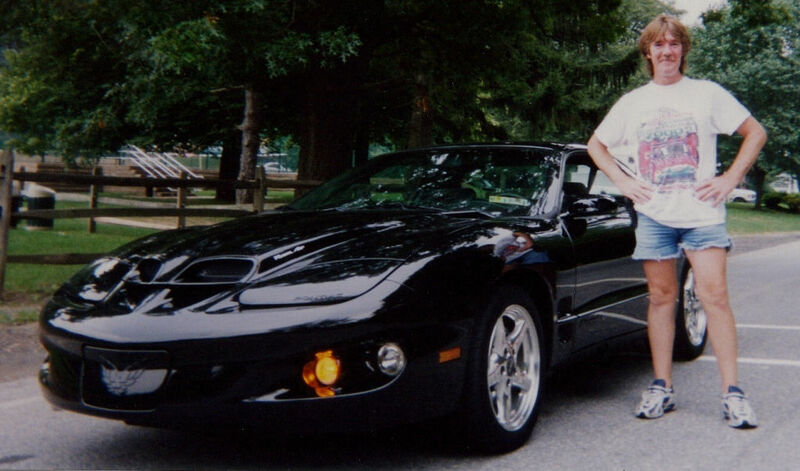 I pull out the 71 on nice days and drive it, because I miss driving it. Both birds share the garage, so that is my Bird Garage. When we moved we had the house built with 2 garages, one 2 car and one 4 car garage. In our car collection we now have 10 cars, 4 are Birds." 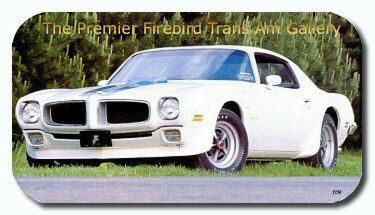 Susan also owns a 1971 Formula that can be seen at '71 Firebirds Lot#2 and a 1972 Firebird that can be seen at Project Firebirds Lot#3. 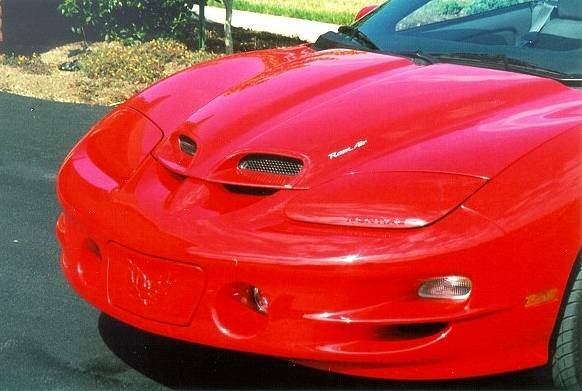 "This car is 1 of 20 made for 1999, and 1 of only 235 made with the "1LE option package" by Pontiac in 12 years of production! 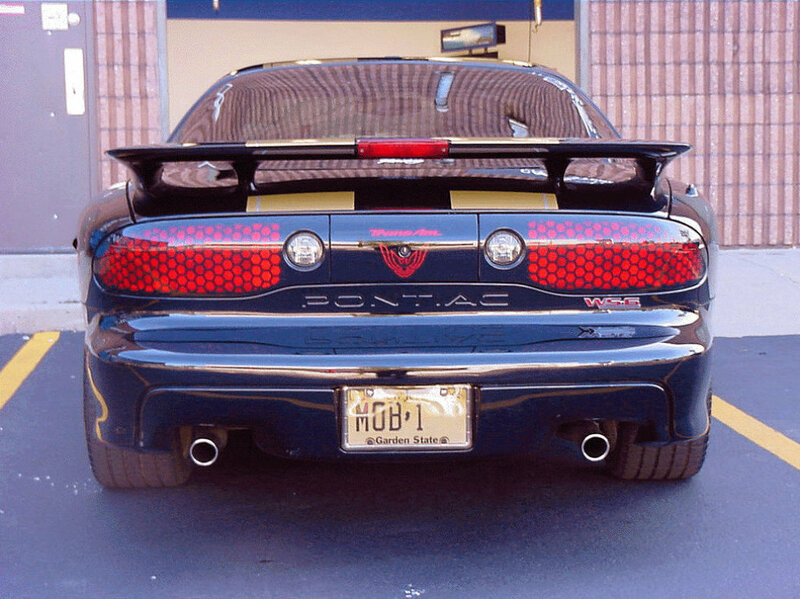 These cars were made for SCCA autocross racing. 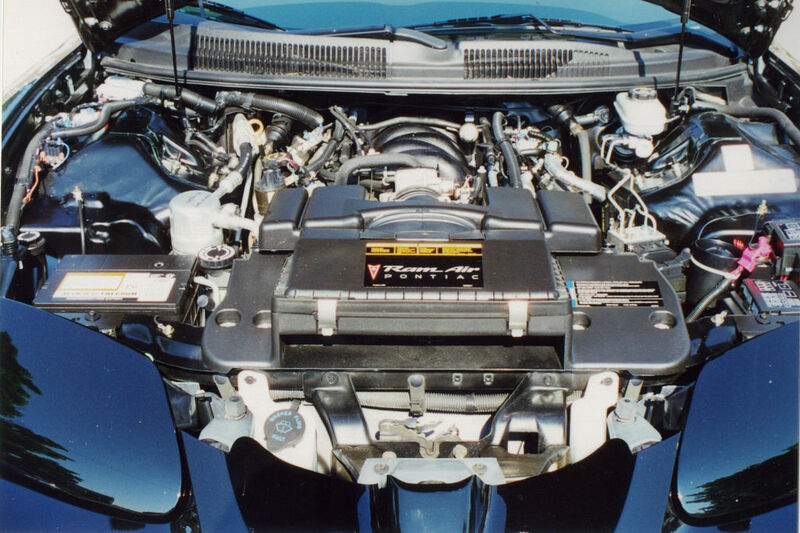 Like the COPO cars of the 60's, the 1LE option was GM's last race package for the F-Body cars! The production #'s of the 1LE cars are lower than the COPO cars, making these cars very rare and priceless!! The 1LE option, is a standard equipment delete option. 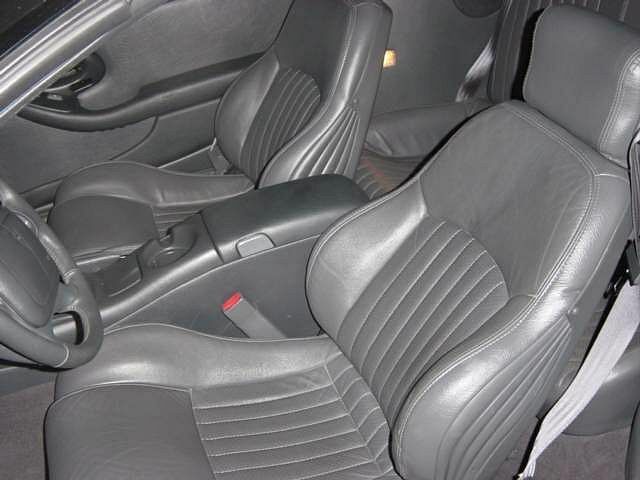 No power windows, door locks, seats, mirrors, or antenna. It upgrades the suspension of the WS6 to thicker sway bars, better springs, stiffer control arm bushings, and dual adjustable Koni shocks. 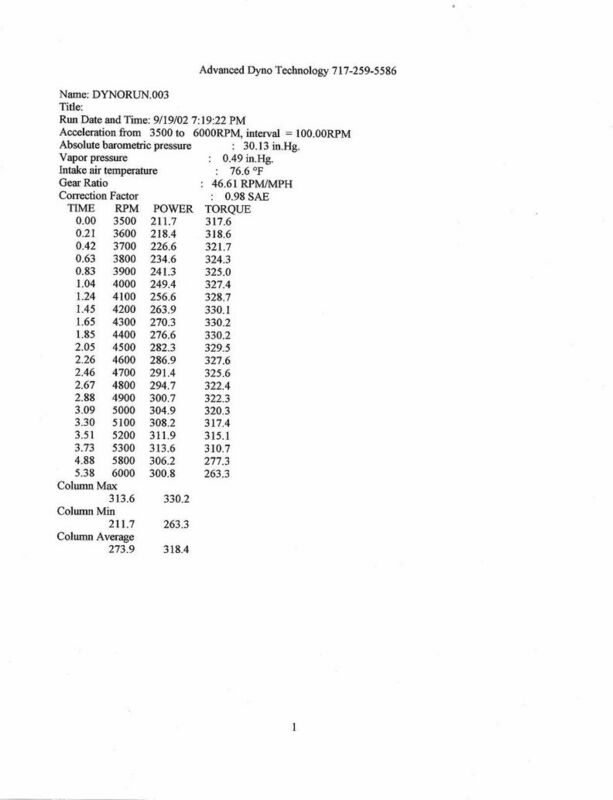 This car was dyno tested 9/19/02. The best run was 313.7 HP, and 331.6 ft-lbs torque. Not bad for being 100% stock!! I'd like to see what it would do with 100+ MPH wind blowing through the Ram Air package!!" "This is my baby... 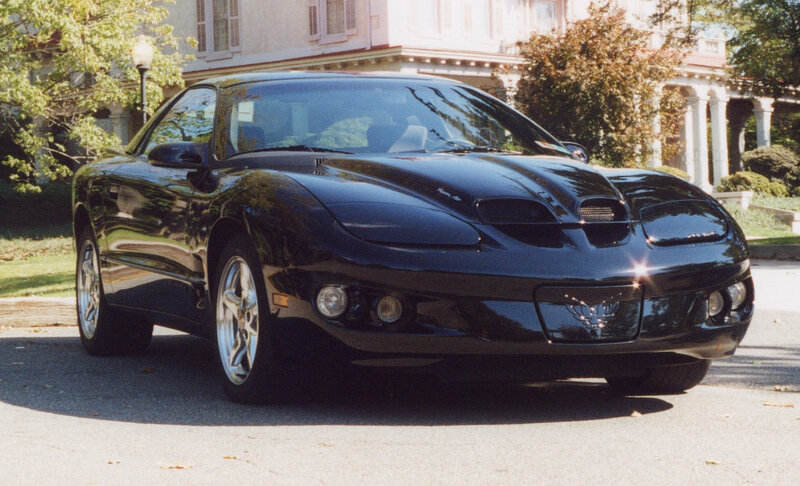 I've had 3 others, a 1979 Bandit Ta, a 1980 Turbo, and a 1980 Nascar Edition... but this is my favorite! 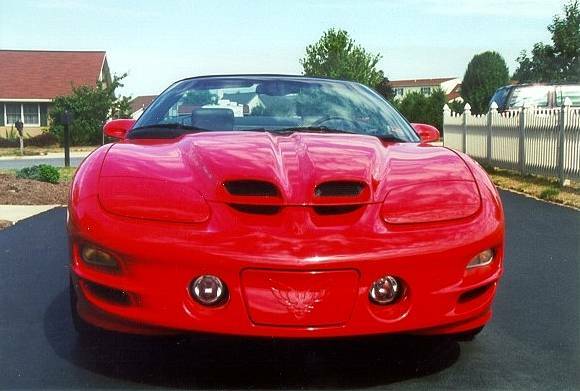 It's a 1999 WS-6, Ram Air TA. 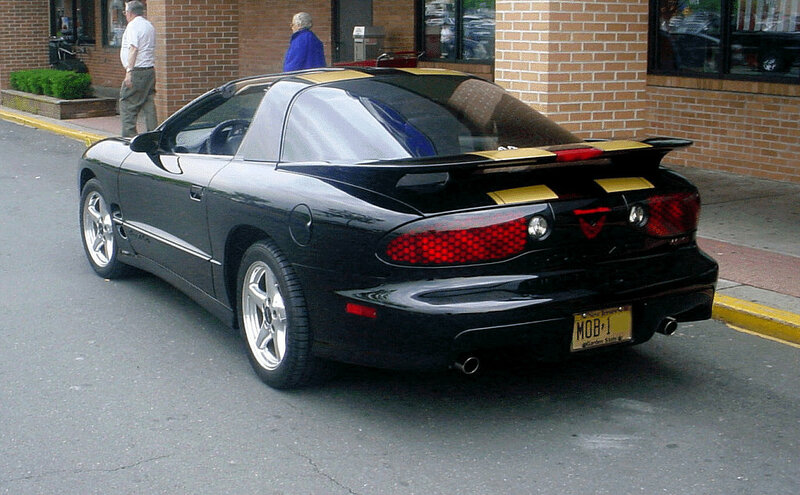 I bought it from a guy that had one too many speeding tickets. He sold it to me for $14,000. I've since had it appraised for $26,000... What a bargain! 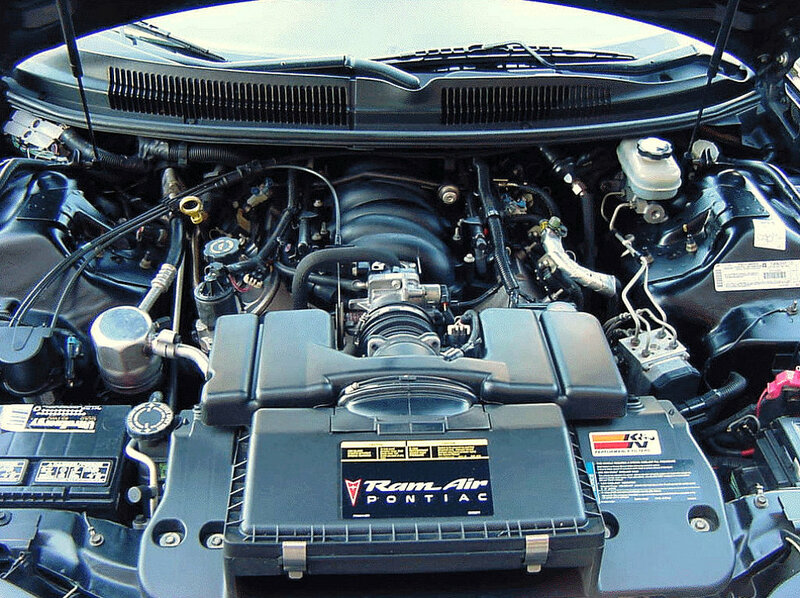 It's pretty much stock, with the exception of a set of Flowmasters, SLP performance headers, and a K&N Air filter. 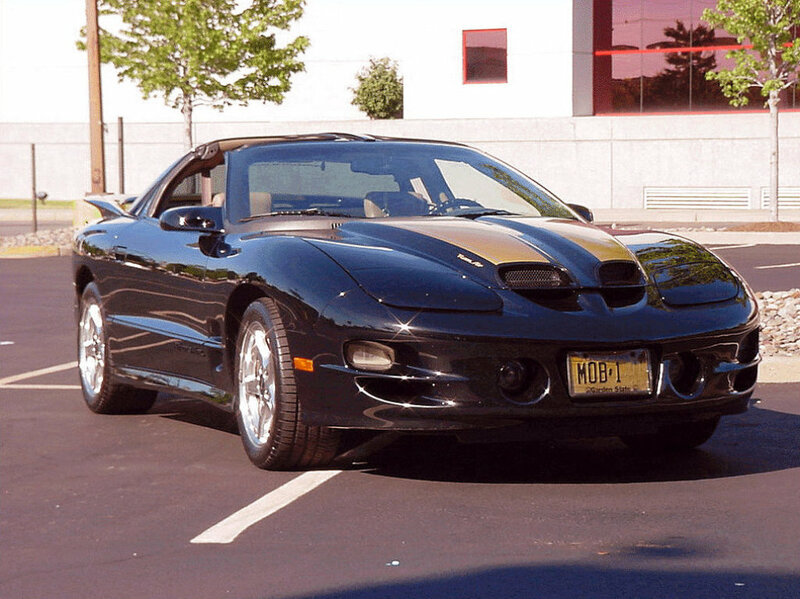 It'll do the quarter in 13.4 seconds @108 mph. 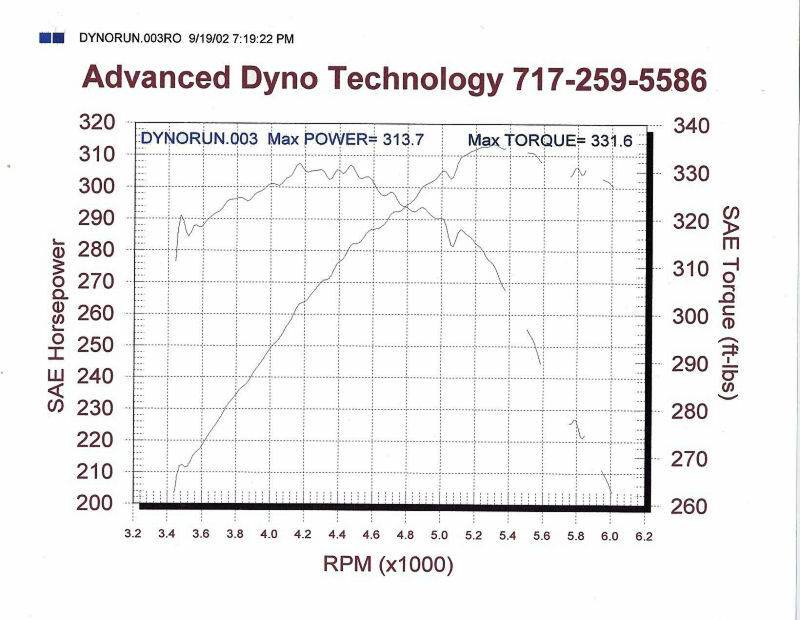 I've had it dyno'd at @370HP (Did I mention it has 83000 miles on it?). Its a daily driver; nice days anyway. 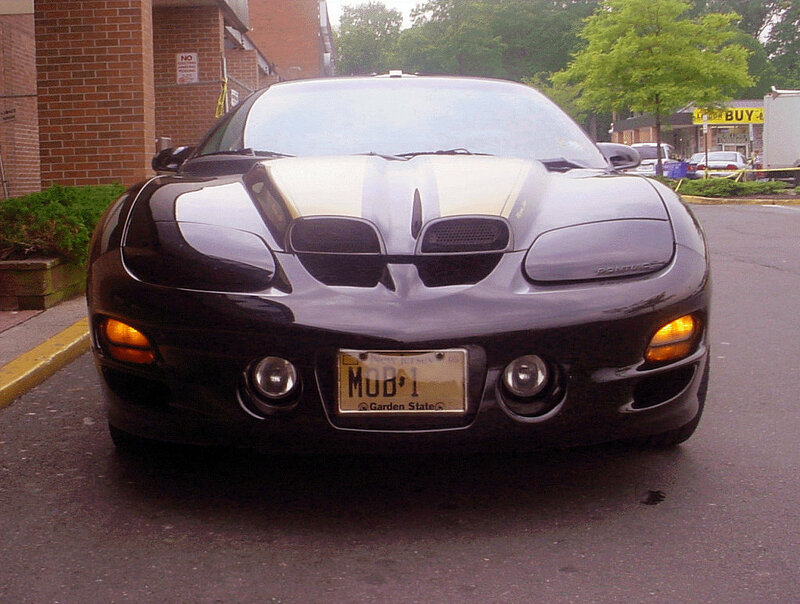 It's a lot of fun... and well worth the purchase price." 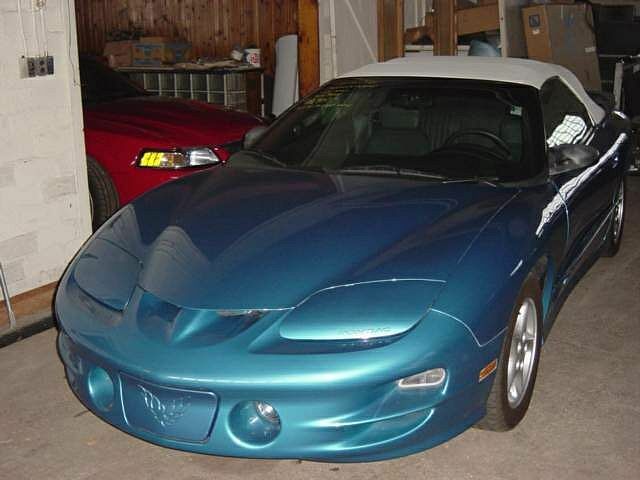 "I purchased this 1999 Medium Blue Metallic Trans Am in March of 2001. I saw it in Dallas, TX on Showcase Chevrolet's pre-owned lot, but I was not looking for a car at the time. I drove it home a week later. After only a few days of ownership, my friends had dubbed the car "Smurf TA". 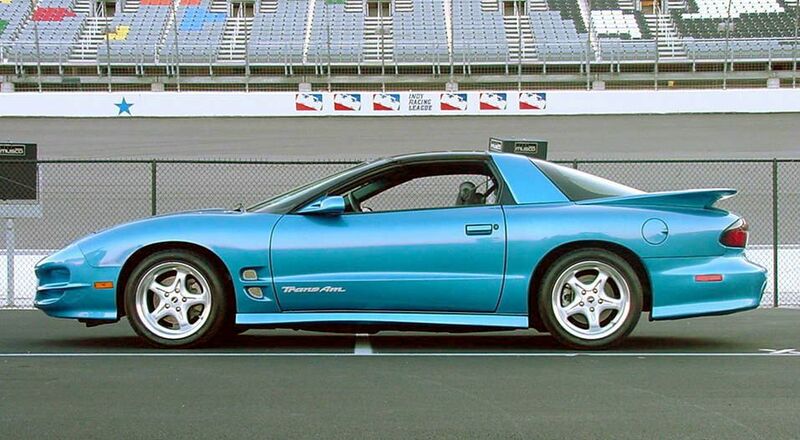 1999 was the only year GM offered this color on the F Body. 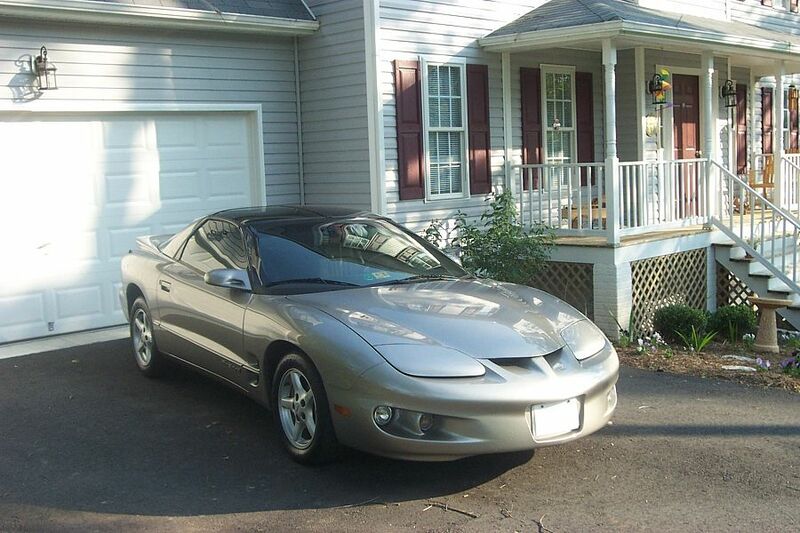 This is the 5th car I have owned, all 5 of which have been Firebirds. 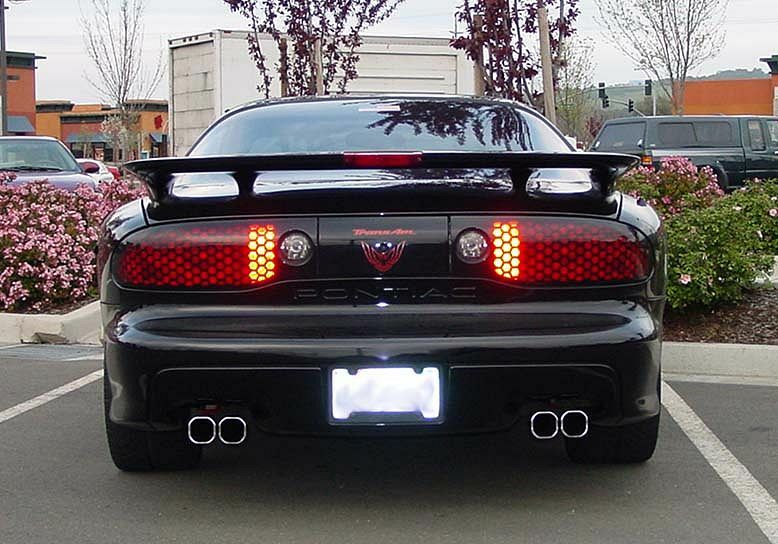 The 4 previous cars were a Black 1995 Firebird V6, a Yellow 1979 Trans Am, a Red 1992 Formula L98, and a Red 1996 Formula. I've had a blast learning about all of them. Even with 2 trips to Las Vegas, 2 trips to Florida, and a few trips around Texas under Smurf TA's belt, the clock only reads 62,000 miles. This number is fairly insignificant, due to the freshly rebuilt 346 ci LS1 under the hood and other new parts. 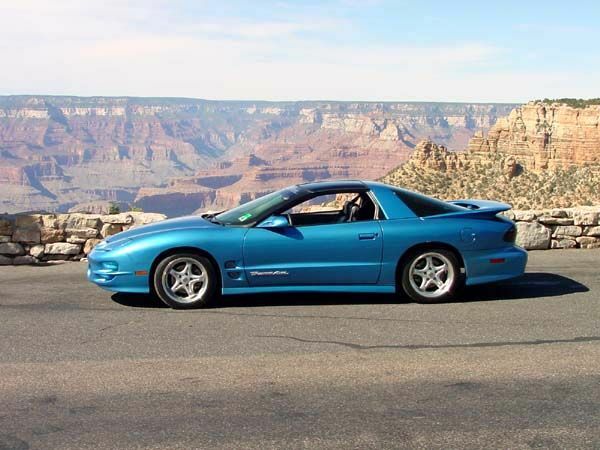 Just south of the Hoover Dam, the stock 4L60E Automatic slowly began to die after a harsh drive from Texas. By the time we reached Las Vegas, it was time for a new transmission. With the help of the Las Vegas F Body Association, the car was cruising the Vegas Strip the very next evening! 2 weeks later, I drove it to Florida to spend the rest of my summer there. The stock engine let go in my girlfriend's driveway. Oil starvation from the weak factory oil pump and hard driving caused the original motor to blow at only 51,000 miles. 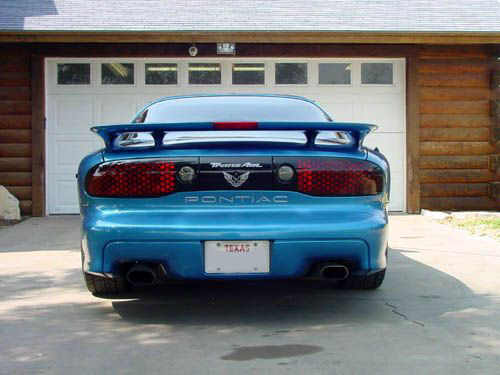 I trailered the car back to Texas, and after 11 months Smurf TA came to life once again. I missed rowing through the gears of my 1996 Formula, and with the engine and transmission out of the car I figured that this was a good time to swap transmissions. With the knowledge I have soaked up over the past 6 years, the help of a lot of friends and family members, and the numerous parts discounts, I have gone a bit crazy with this car! 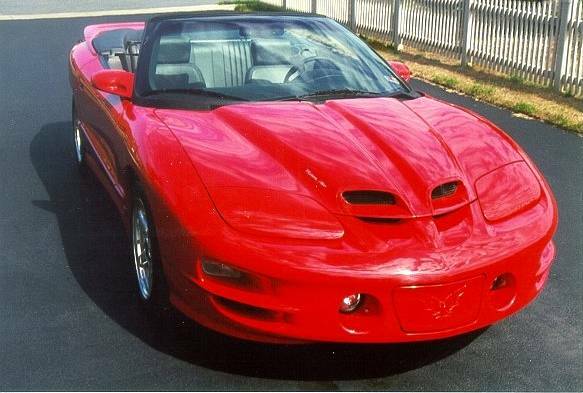 This very special 1999 Trans Am convertible is owned by a long standing member of the Firebird Gallery Chris Phillip. 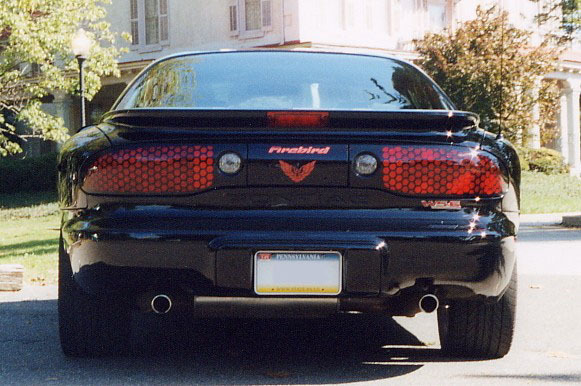 Chris is the owner of the very first Firebird produced for the 1999 model year. 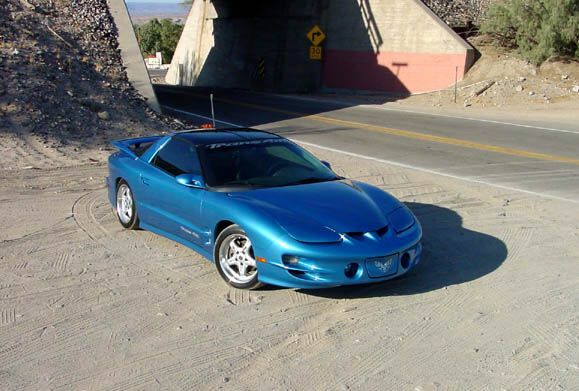 This VIN #00001 features Code 20 Medium blue exterior, slate gray interior, the mandatory LS1 350 motor and thanks to prayers the factory built this Vin #00001 with a 6-speed manual transmission.